Do you have a love-hate relationship with your makeup routine? Are you applying your makeup the same way you did ten, twenty or even more years ago? Are you ready for a change, but you don’t know what to do? Perhaps you wear makeup, but you always wonder if there’s a better way to enhance your eyes or smooth your skin. Maybe you don’t wear much makeup because every time you put it on you worry about looking silly. It could be that you’ve wanted to try a new technique, but when you walk into a makeup store to find a particular product you feel totally overwhelmed by all the choices. Could it be that you feel a bit drab when you look in the mirror and are wondering if there’s something you could do with your makeup to feel more radiant? Or, maybe you have had a makeover at a cosmetics counter, but by the time you got home you forgot what to do with everything you purchased so it sits in a drawer unused! 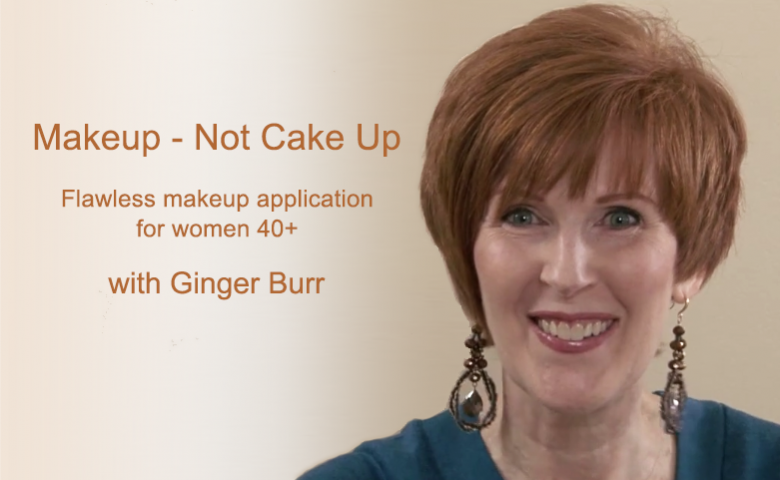 Teaching women to apply their makeup has been something I have done since I first became an image consultant. I, too, had reservations about applying makeup. I spent years wearing nothing except mascara because I always felt overly made up whenever I wore makeup. That is, until I learned how to wear it properly. Not only are the techniques important, but choosing the right products and having the right tools is necessary as well. Then for years I did makeup for brides and their bridal parties and that was fun. But, what I really love to do is teach women how to wear a natural look day to day – something that enhances their features and still makes them feel like themselves. So, after much prodding from my clients I created a very special instructional makeup video. 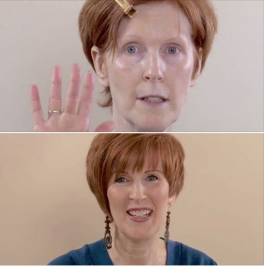 In it, you will see me without makeup and I will show you on myself—on half of my face—how to apply each technique. I explain it in great detail so you can perfect the technique on yourself as well. You will see the transformation as one side of my face is made up and the other side remains free of makeup. The video is nearly 30 minutes long because I take my time showing you each step along the way. I want to be sure you can see it well so you can understand how to replicate the steps and you can make note of the places you need to review periodically so you can practice. And, if you are deaf or hard of hearing, the video is close captioned so you will get all the value. And, once you have this video it is yours to keep. You will receive the download information as soon as you purchase it. You can watch it over and over on any of your devices as often as you need to until you feel comfortable with each technique and your own transformation. And, once you feel comfortable with the techniques the entire application will not take you longer than 5-7 minutes. As I mentioned, makeup techniques are great, but what’s even better is knowing what products to buy and tools to use. When you purchase this video you will also receive a very special document in which I share a variety of products with the links to purchase them. I give you choices and explain which colors work best on which skin tones, etc. Everything is included from primers and blushes to eyeliners and lipsticks and much, much more. I do not receive any commission from these sales – I share this list to make it easier for you to find what you need. If you are tired of watching videos made by twenty-year-olds who don’t understand your makeup concerns, then this video is for you. It’s like having me sitting there with you as you do your makeup. The cost is $39.95 — much less than a private one-on-one makeup consultation with me. Why wait? If you’ve been looking for guidance and tried and true techniques for applying makeup, this is it. And, these techniques are not trendy so they will serve you for years to come. You can stop worrying about doing it right because I will show you exactly how to apply each step. Get your video lesson and product list now. Use coupon code MAKEUP10 and receive $10 off. P.S.Just a reminder that the video is close captioned — just be sure to turn on the feature if it doesn’t appear right away. P.P.S. Refund policy: Payments are non-refundable. You are responsible for the full fee regardless of whether you actually use the video or the resource list. No refunds will be issued.